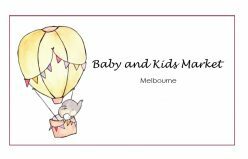 Baby and Kids Market Melbourne requests all stallholders adhere to our terms and conditions. Stall hire fee includes GST, trestle table 6ft x 2ft and space for 2 large items in our dedicated large items area. By paying the stall fee, you have read and agreed to the terms and conditions of Baby and Kids Market Melbourne. Quality goods or services relating to babies, toddlers, and kids. Poor quality, stained or worn out clothing. Car seats over 9 years old and/or been involved in an accident. Business Stallholders are encouraged to hand out advertising or promotional material at their designated stall. The advertising/promotional material may only relate to the product/service on sale at that stall. Stallholders and their representatives are permitted to distribute advertising or promotional material outside of their stall area ie along the queue of shoppers before entry. Approval must be gained from the market manager prior to hanging any items or posters on the walls, doors or any other portion of the building. It is a requirement that all stallholders leave their stall area they way they found it. It is the stallholder’s responsibility to take any unsold items with them at the end of the market as well as excess rubbish, empty boxes and tubs. Rubbish bins placed throughout the market hall are for general waste only. Baby and Kids Market Melbourne holds no responsibility for theft, loss or damage of items within the market including goods on display in the Large Items Area. Stallholders are responsible for their own stall security and monies and we remind you to be vigilant at all times. Stallholder set up commences at 8am. Empty stalls will be reallocated to other stallholders or removed at 8.45am SHARP so please ensure you allow plenty of time to locate the venue as we do not refund or transfer stalls if you do not make it on time. The market will open to the public at 9am and close at 1 pm. We generally have lots of shoppers queuing to grab a bargain and it is unfair if trading has started before they have entered the market. There are no refunds or transfers of bookings for change of mind. Should you be unable to attend a market due to extreme circumstances we may offer a transfer to another date at the same location if there is availability. Please note that this is at Baby and Kids Market Melbourne’s discretion and only one transfer will be offered per booking. Any stall that is not occupied by 8.45am will be deemed as a No Show and your stallholder fee will be forfeited. The stallholder is responsible for the safety at their designated area which includes their table/stall on the day. Stallholders must ensure the setup of items is done in a safe and secure manner to avoid accidents. When displaying boxes/tubs or items on the floor they must not spread into the aisle as this may cause congestion and tripping hazards. Baby and Kids Market Melbourne has a reputation for selling excellent quality pre loved goods. If we feel that an item does not meet our standard it will be removed from the area and you will be asked to take it back to your car. Although the Market staff are constantly monitoring this area, no responsibility is taken for the theft, loss or damage to large items. To avoid loose pieces and smaller objects such as cots screws and pram covers being lost or stolen we encourage stallholders to securely attach these to the items where possible or hold them at your stall and give them to the buyer once the item has been sold. At the end of the market, any unsold Large Items must be collected from the area by 1.10pm. Should any items be left behind it is the stallholders responsibility to collect the items from the venue. Should a Baby and Kids Market Melbourne be cancelled due to reasons of emergency, danger, weather conditions, disasters, safety, health concerns, or other reasons that are not in reasonable control of the Market organisers, then stallholders will not receive a refund of their stall hire paid however, could be offered a transfer to another market. This is at Baby and Kids Market Melbourne’s discretion. Baby and Kids Market Melbourne shall not be held responsible for the compliance by a stallholder with any By-laws, Regulation, Act or Statute. There are safety guidelines about selling children and baby’s goods. These guidelines can be found on the ACCC’s website (www.accc.gov.au) or by calling the ACCC on 1300 302 502. We have also provided a list of helpful links under the Product Safety page on our website. Baby and Kids Market Melbourne reserves the right to decide or arbitrate any dispute arising out of or in the course of the conduct of the Market. Baby and Kids Market Melbourne reserves the right to refuse admission into the Market to any person without giving any reason for the same and to eject or cause to be ejected any person and /or his/her goods without giving any reason for the same. Baby and Kids Market Melbourne accepts no liability for the loss or damage of any kind suffered by any person who enters the Market area and all persons who enter the Market area do so at their own risk. The stall holder agrees to indemnify the Baby and Kids Market Melbourne against all claims for damages or injury to the property or person of any persons in respect of any claim by any such person arising out of negligence on the part of the stall holder or his agents or servants.